Ubookr has API solutions to service a wide number of industries including; Banking, Medical services, large enterprises, Government departments, Real Estate, Valuers and Software Developers. Built for rapid deployment with minimal expenditure. Our flexible online booking widget can be fully integrated within days. We fully understand business requirements are highly variable, therefore we offer bespoke software customisation to your specifications. Data security compliance is a primary consideration for many organisations. Customer data collected through Ubookr Solutions is never sent offshore and stored securely on your own dedicated servers. Deployment can be achieved in as little as four weeks. Our Sydney based developers are able to work closely with your team to customise, integrate and deploy rapidly . Building a secure, reliable, multi-calendar integrated scheduling solution is a complex task. We've already done all the heavy lifting. Our Australian based team of software engineers have been building booking and personnel scheduling solutions for SME's and financial institutions since 2013. 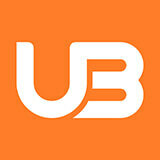 We welcome the opportunity to have a chat about how Ubookr can fulfil your booking and scheduling requirements. (+61) 1300 38 20 40 or email us.